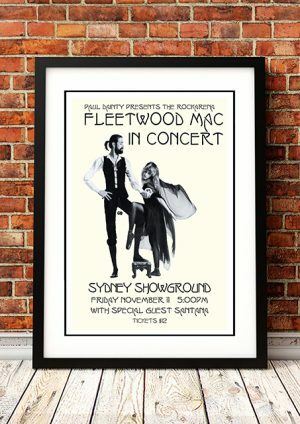 Classic Fleetwood Mac Band Concert Posters and Memorabilia! Buy Online Now! While most bands undergo a number of changes over the course of their careers, few groups experienced such radical stylistic changes as Fleetwood Mac. Initially conceived as a hard-edged British blues combo in the late ’60s, the band gradually evolved into a polished pop/rock act over the course of a decade. 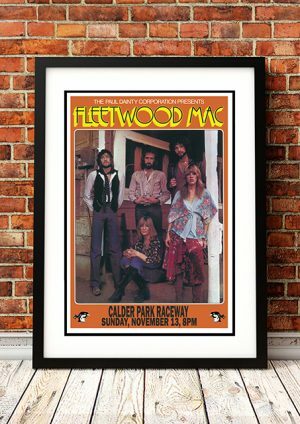 Throughout all of their incarnations, the only consistent members of Fleetwood Mac were drummer Mick Fleetwood and bassist John McVie — the rhythm section that provided the band with its name. Ironically, they had the least influence over the musical direction of the band. Originally, guitarists Peter Green and Jeremy Spencer provided the band with its gutsy, neo-psychedelic blues-rock sound, but as both guitarists descended into mental illness, the group began moving toward pop/rock with the songwriting of pianist Christine McVie. 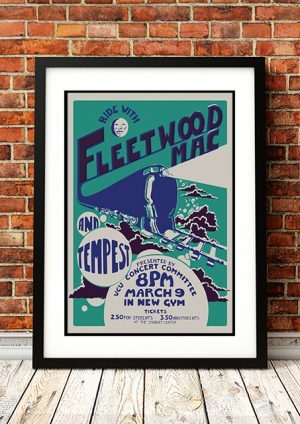 By the mid-’70s, Fleetwood Mac had relocated to California, where they added the soft rock duo of Lindsey Buckingham and Stevie Nicks to their lineup. Obsessed with the meticulously arranged pop of the Beach Boys and the Beatles, Buckingham helped the band become one of the most popular groups of the late ’70s. 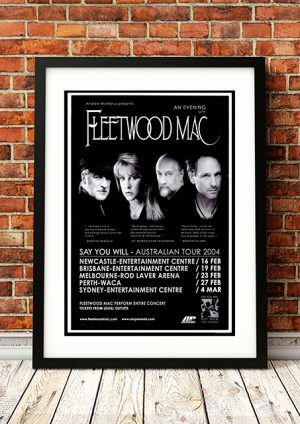 Combining soft rock with the confessional introspection of singer/songwriters, Fleetwood Mac created a slick but emotional sound that helped 1977’s Rumours become one of the biggest-selling albums of all time. The band retained its popularity through the early ’80s, when Buckingham, Nicks, and Christine McVie all began pursuing solo careers. The band reunited for one album, 1987’s Tango in the Night, before splintering in the late ’80s. Buckingham left the group initially, but the band decided to soldier on, releasing one other album before Nicks and McVie left the band in the early ’90s, hastening the group’s commercial decline. 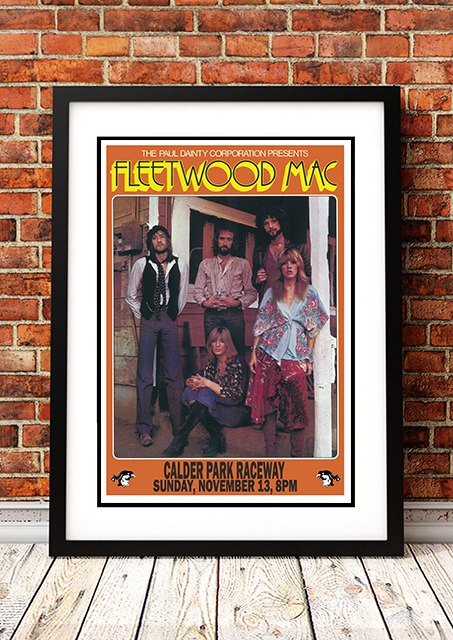 We stock some awesome Fleetwood Mac Band Concert Posters.